Title: Art Director, Ayogo Health Inc.
Fun Fact: My second live concert in the capital was in the second biggest theatre in South America. With my band, we had two hit songs on the charts in Venezuela. Each month we place an Ayogi in the spotlight. 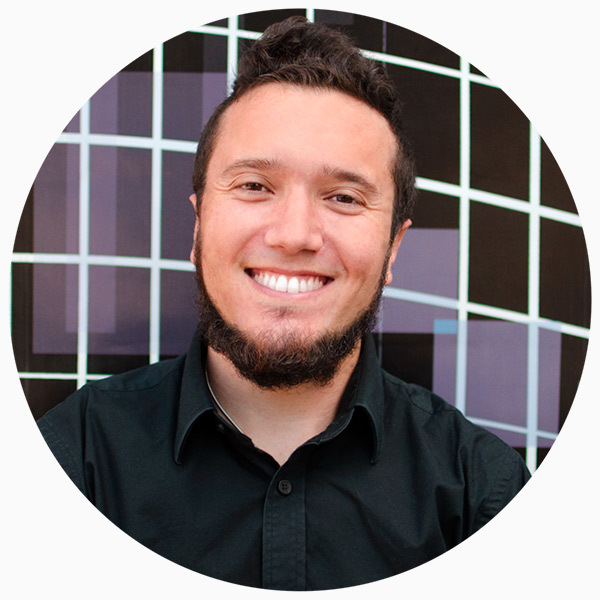 This month, meet Art Director Ricard Adrianza, who specializes in health gamification. He helps define the vision, aesthetics, and brand experience of our products, balancing the fun with the serious. Ricard cofounded an agency with clients including Red Bull, Solera, Bodegas Pomar and PepsiCo. While his design star was rising, so was his musical career: he and his band also had a couple of hit singles in Venezuela. As Art Director for Ayogo, Ricard is key to the company’s branding and advertising, helping define and execute the vision and brand experience of Ayogo’s products. Ricard’s dual expertise in visual and audio design make him invaluable for health gamification projects using a multi-sensory design approach. For example, the gamified health app Sleep Guru, a project for which Ricard was Art Director, required that he also understand audio engineering and game-based interaction design. I want to learn from my peers, learn from the process, learn from the industry. I want to define the aesthetics of our products – styles, colours, and accents, balancing the serious with the fun. Playful design can be a tricky line to walk but when done right, it creates a fun and engaging user experience. One of the challenges is connecting the dots between the user, their goals, technology, and their day-to-day life in a way that is easy, fun, and useful. Luckily healthcare and technology are bringing together brilliant minds from different industries to generate new paradigms and standards that will empower healthcare. It’s easy to picture more and more integration with the Internet of Things, even clothing and appliances, that automate food logging and tracking exercise. Q: What advice do you have for those looking to start their career in Design? Be familiar with the various digital tools and certifications. Have a strong online presence including a website, and trust your instincts. Designers are problem solvers and communicators so always be researching and experimenting to become versatile in style and skill. It will make you a better designer. And remember that to grow as a professional, you need to get outside of your comfort zone! Want to work with Ricard? Check out our Career page!